Ian is an active duty U.S. Army Special Forces Operator. His Special Forces Group’s area of responsibility is the volatile Middle East. It was during one of his deployments throughout the region where he served as the light and heavy weapons and tactics expert on his Special Forces team, that he was introduced to the Multipurpose Canine and all of the capabilities and advantages that the dog brought to the fight against the radical extremists that his organization had been charged with eradicating. Prior to his career in the Army, Ian grew up training and hunting upland bird dogs. He has always been an avid outdoorsman and attributes his love of and devotion to country to living that simple but proud life. He was no stranger to high energy, high drive, highly intelligent and highly athletic dogs when he decided to leave his Special Forces team in order to enhance mission success by placing previous knowledge and experience to good use as a Multipurpose Canine Handler. 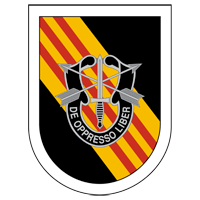 This move within his unit afforded him the opportunity to deploy with multiple Special Forces teams as a qualified and experienced Special Forces operator while also allowing him and his canine counterpart to lead teams from the front, insulating and protecting them from potential explosive threats as well as battle field combatants. Throughout his various experiences overseas, one thing remains constant. The efficiency of the Special Forces Multipurpose Canine is unparalleled by any other comparable asset when it comes to explosive detection and a less than lethal means of hostile target acquisition. 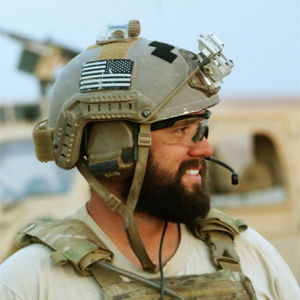 Through years of experience within a prestigious anti-terrorism organization and numerous deployments, Ian understands that Operator and team success in Special Forces is directly related to a rigid, rigorous physical training regimen in conjunction with a diet designed to fuel the body. The same holds true for the Multipurpose Canines who train and deploy with these soldiers in the fight against terrorism. Ian became an advocate for the Kinetics brand dog food after seeing the results that the food had on his two German Shorthaired Pointer hunting dogs. He was getting more time in the field out of his dogs as well as better quality performance from them. As the only qualified active duty trainer for his unit, these observations prompted changes in how the working dogs of his unit were being fueled to perform critical mission tasks. When not deployed or training for upcoming deployments, Ian switches gears and makes the most out of time at home with his four beautiful daughters, brand new son and amazing wife. His family and the sacrifices that they make in his absence are paramount to his career success. They are a definite motivation for his job proficiency. Some of his most cherished memories are time spent in the field teaching his daughters how to shoot and hunt and he looks forward to carrying on the family tradition with his son.